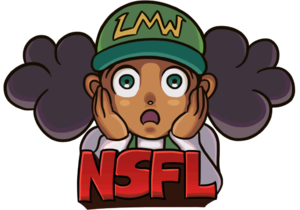 This article has been tagged as NSFL due to its disturbing subject matter/visuals. Still of a deleted scene. Event Horizon was a 1997 sci-fi horror film directed by Paul W. S. Anderson. Initially, the film ran for at least 130 minutes. This cut contained far more graphic violence and gore than the released version of the film. When Anderson screened the film for Paramount, they were disturbed by how gruesome it was. Anderson felt that they had not been given enough time in post-production to completely refine the cut, and it went before test audiences too early. 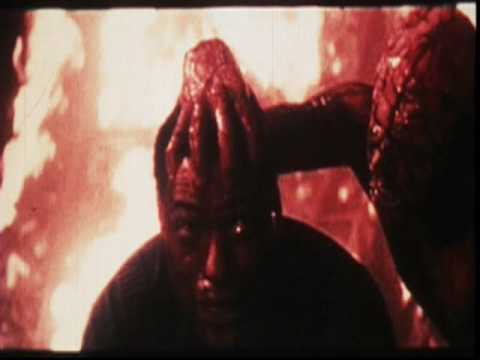 Consequently, the test audiences were equally upset with the gruesome content, and the negative reactions led to Paramount forcing Anderson to edit the film by 30 minutes, specifically the extremely grim material. Portions of the deleted scenes were included as bonus features on the 2006 DVD release. Unfortunately, they were sourced from poor quality footage and had editor's marks visible in various places. Supposedly, the cut scenes were found in, of all places, a Transylvanian salt mine, but they had deteriorated beyond repair. According to the director's commentary, Paramount had scrapped the rest of the deleted footage, as they were not interested in keeping it. During an interview at ComicCon 2012, Anderson revealed that producer Lloyd Levin had found the original cut of the film on a VHS. However, nothing has been heard of it since. Daylight Station Deleted Scene (courtesy of TheDronemaster). Portions of Extended Hell Sequence (courtesy of DaneTheConqueror). Extended Hell Sequence in its entirety (courtesy of randomchannel137). Extended Operating Table Sequence (courtesy of randomchannel137). ↑ San Diego Reader's article on director Paul W.S. Anderson's interview at ComicCon 2012 of the film's original cut.